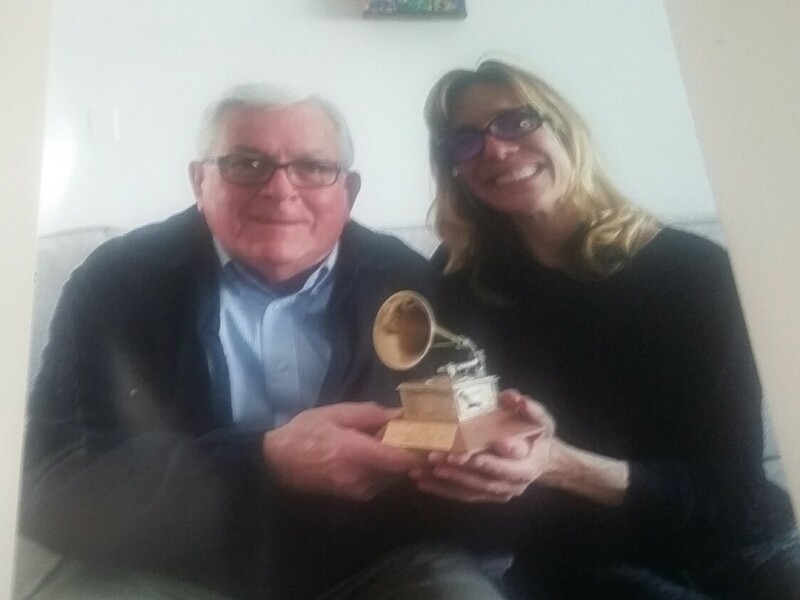 Rick Gerber holding the 1965 Grammy award Conniff won for “Somewhere My Love” along with Conniff’s daughter, Tamara. An Iowa native plans to revive the music of the late Ray Conniff, a band leader who was widely popular in the 1950s and ’60s. Rick Gerber, a band leader in Branson, Missouri, is forming a new orchestra along with an eight-man, eight-woman singing ensemble. Gerber says Conniff helped vault many other singers to fame before creating his own band. Conniff, who died in 2002, still holds a world’s record for releasing 94 albums under his own name. Gerber says Conniff was a big celebrity to audiences around the world in decades past. Gerber’s new band, which he’ll lead and direct, will start performing this fall. He previously was leader and director of a special unit of the Glenn Miller Orchestra in Los Angeles. Gerber is a 1959 graduate of Kamrar High School in Hamilton County.